Welcome! 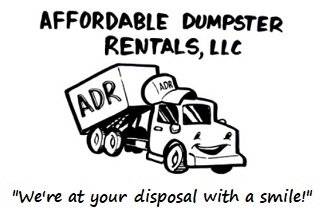 Looking for Dumpster Rental Prices in Tampa? We are here for your Dumpster Rental needs! Tampa and Surrounding Area Dumpster Rental Service. Affordable Dumpster Rental provides low-cost Residential and Commercial Roll off Dumpsters and Dumpster Bins starting at $199. We’re Tampa's premier dumpster rental service to call today for rates and services. Roll off Dumpster & Dumpster Bin Rental in Tampa Service includes: Residential Roll off Dumpster Rentals - Construction Dumpster Rentals - Bulk Trash Dumpster Rentals - Garage Clear Out Dumpster Rentals - Landscaping Waste Dumpster Rentals - Commercial Dumpster Rentals - Roll off Dumpsters and Bins for any job! FREE EZ Quote Form - Powered by R.J.C. R.J.C. Free EZ Quote Form - Powered by R.J.C. Country and all surrounding areas. Residential roll off dumpster containers are ideal for Home remodels, major yard projects, and removal of large items are just three of many reasons why you may need to rent a dumpster or roll-off container. Home dumpster removal rental service is perfect for home cleanup, brush or stump removal, garage cleaning, deck removal, aluminum siding removal, roofing, waste removal and minor renovation for homes in the Tampa Bay Area. Whether you need to remove asphalt, concrete, or general construction debris from your construction site, Affordable Dumpster Rental will be able to quickly arrange delivery of the appropriate sized dumpster. Some of the most popular options include 10-, 20-, 30- and 40-cubic-yard open-top dumpsters for rent. From project start to completion, we’re committed to helping you meet the demands of every construction and demolition project free from waste and debris. Our dedicated team will help you identify the right recycling and disposal options to keep your jobs on schedule. Rent a roll off container in Tampa, for trash removal or construction waste management needs. Looking for Cheap Dumpster Rental Prices in Tampa? Dumpster Rental Service Areas: Tampa, Hillsborough, New Tampa, Ybor, Carrollwood, Westchase, Riverview, Brandon, Temple Terrace, Wesley Chapel, Valrico, Sun City, Citrus Park, Apollo Beach, Bayonet Point, Town & Country and all surrounding areas. Subpages (3): Customer Reviews Proud to serve Tampa and Surrounding Cities Tampa and Surrounding Area Dumpster Rental Service.